You can hire bikes in Provence with Bike Hire Direct! BikeHire Direct Var make it easy for you to rent bikes in Provence - there is no need to have the extra hassle of transporting your own bikes... let us know where you are staying and we will deliver bikes directly to your holiday accommodation ready for you to enjoy on your holiday! Provence is made up of six departments in the south-east of France; Alpes-de-Haute-Provence, Alpes-Maritime, Bouches-du-Rhone, Haute-Alpes, Var and Vaucluse. Being based in the Var we are at the heart of this stunning region and within reach of all that this great area has to offer. Away from the Cote d’Azur there are many beautiful areas to explore inland. We believe that cycling is a fantastic way to explore the area, and cyclists are well catered for with many dedicated cycle tracks allowing you to take advantage of the stunning landscapes. Provence Verte is an area that covers 43 Provencal villages and there are many not-to-missed sites in this region. Why not discover the beautiful Gorges du Verdon and discover the spectacular scenery of this area by bike? Alternatively, Cotignac is a historical Provencal village nestled under a huge 400m cliff face – explore this pretty village and its amazing troglodyte dwellings built into the cliff-face. 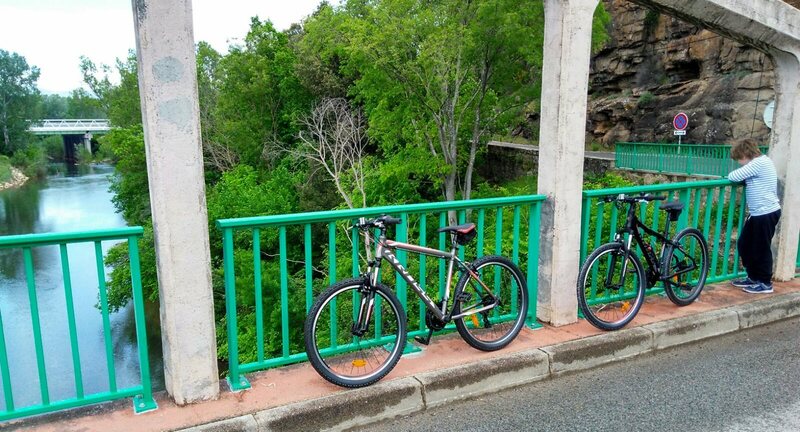 From Cotignac a 6km bike ride will take you to the village of Sillans-la-Cascade where you will find a 42-metre high waterfall, the Casdade de Sillans. Join the EuroVelo8 cycle route here and cycle all the way to Flayosc a stunning 30 km ride through forests, vineyards and rolling countryside. 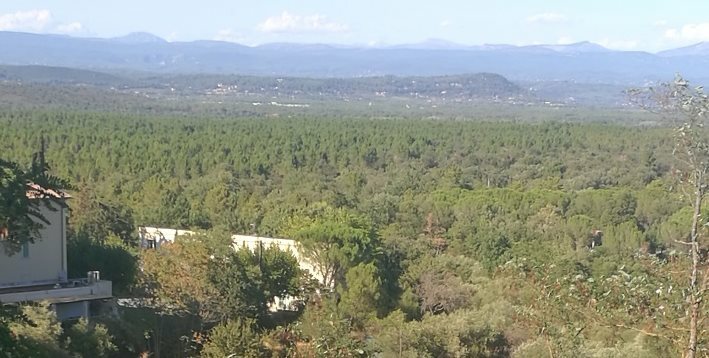 Dracenie is a region of the Var made up of 23 villages, centred around the large town of Draguignan. All of these villages have their own unique character and are worth a visit. 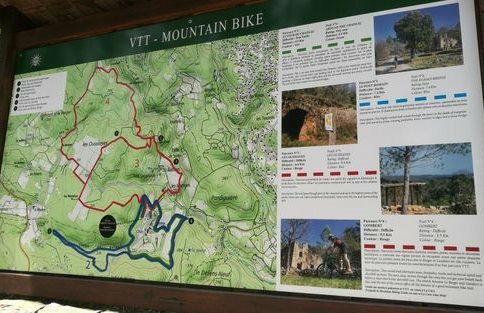 You could explore some of the countryside by cycling through the vines on the Vigne a Velo from Draguignan to the historical medieval village of Les Arcs sur Argens. 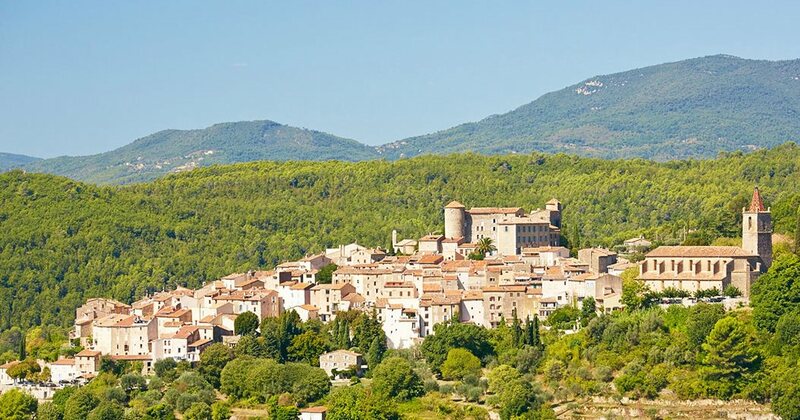 Or you could explore the pretty town of Lorgues with its brilliant Provencal market on Tuesday mornings and try one of the four mountain bike trails at the beautiful Chateau du Berne nearby. This region is made up of 11 villages in the heart of the Var and they are perfect for cycling. 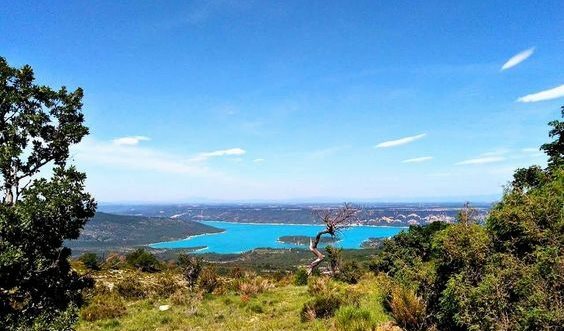 Explore the Plaine des Maures, a nature reserve criss-crossed with mountain bike tracks- start from the Lac des Escarcets situated in the middle of this park. Or why not visit the stunning Cisterian Abbey at Le Thoronet and take your bike to explore the countryside in this area.